It's hot outside, so certainly you're thinking about Halloween, right? Well, over at Disneyland, the spooks and goblins are getting ready to return as the park will reveal its annual Halloween festivities on Sept. 7. 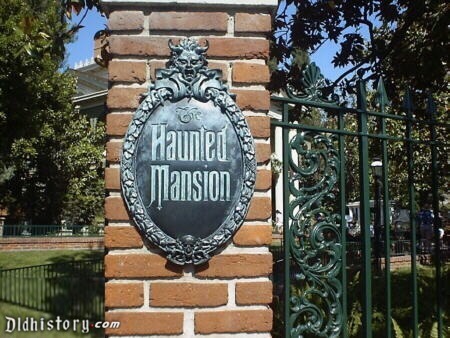 Yes, yes, that's way too early to celebrate Halloween, but some of you nutty people will rush right over there for a look at the Haunted Mansion decorations and the Headless Horseman at Disney California Adventure. While you're there, you can blow some of your hard-earned cash on special themed treats, available through Oct. 31. Here's are some of what's on offer. We tasted these recently, and they're pretty good. Black Rose dessert that consists of a chocolate truffle mousse with a berry compote and crunch pearls. Sweet Potato Hand Pie: Buttery flaky dough, sweet potato filling, orange colored vanilla glaze and toasted marshmallows. Chocolate Graveyard Cupcake: Chocolate sponge, cherry filling, chocolate mousse, chocolate cookie crumbs and Halloween decor. Layered Pumpkin Cheesecake: Layers of pumpkin and N.Y. cheesecake topped with spiced whipped cream and crystalized ginger. Coco Conchita: Traditional Mexican sweet bread topped with the orange colored sugar, filled with dulce de leche and finished with Miguel chocolate decoration. Headless Horseman Cupcake (returning from last year): Red velvet cupcake filled with dark chocolate mousse, topped with cream cheese frosting and headless horseman decor. Chocolate Bat Cookie (returning from last year): Chocolate flavored sugar cookie with a hint of orange citrus finished with dark chocolate. Spoke-y Cone Macaron (returning from last year): Traffic cone-shaped macaron with a marshmallow buttercream filling and candy corn. Feel like having an elegant British-style high tea with real porcelain and dainty treats? It's pricey, ouch, but fun. $52 and up for adults. Mary Poppins would approve. You get a choice of tasty gourmet teas in an individual pot and you can upgrade that also to a glass of sparkling wine. Kids are welcome. And you don't have to stick up your little pinkie unless you want to. Tea is only served Fridays through Sundays and reservations are recommended.